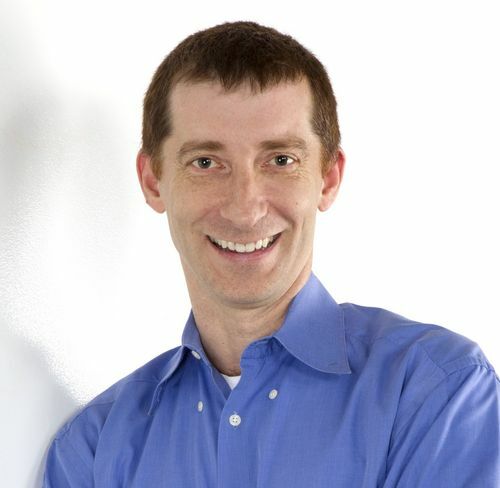 Today, Tim Howes is the Chief Technology Officer at ClearStory Data, a leading provider of fast-cycle data intelligence. He also sits on JumpCloud’s Technical Advisory Board and serves as the executive chairman of Know Yourself, which aids children in achieving self literacy. Tim Howes has been on the cutting-edge of the tech industry since he co-invented the LDAP protocol in 1993. He’s played a major role in shaping modern IT, from the Lightweight Directory Access Protocol we still use, to the SaaS-and-IaaS model that we see at place in more and more organizations. Through the years, Howes has had leadership roles at Netscape, AOL, HP, and Yahoo. He’s also founded two successful tech startups, Opsware (bought by HP in 2007 for $1.65 billion) and Rockmelt (bought by Yahoo in 2013). We recently sat down with Tim to discuss the origins of LDAP and his vision for the future of IT. This is part one of a four-part series with Howes’ answers to our questions. Q: Tell us how LDAP was invented? Tim Howes: LDAP came about when I was taking a couple of years off from working on my PhD in Computer Science at the University of Michigan in the late 80s / early 90s. I was in a group of young upstarts who were trying to bring Unix and the Internet to campus. The Internet was just emerging and the International Organization for Standardization (ISO) was creating standards for everything Internet, including email and directory services. So we were working with X.500, which was the International Standard Organization’s answer for directory service. At that time, I was also working for the University’s information technology division. The University was mostly on a homegrown mainframe system for email and directory service throughout the campus. I was assigned this project to deploy an X.500 directory for the campus, which I completed. But I quickly learned that it was way too heavy of a protocol and too complicated for the machines that were on most people’s desktops. So, LDAP came out of my desire to do something a little lighter weight to accommodate the Macs and PCs that were on everybody’s desktop. Some colleagues and I created a similar protocol called DIXIE, which people liked. Soon after that, I was approached by some people in the IETF community to create a standardized version of DIXIE, and, with the help of a couple of colleagues, that’s how LDAP was born. 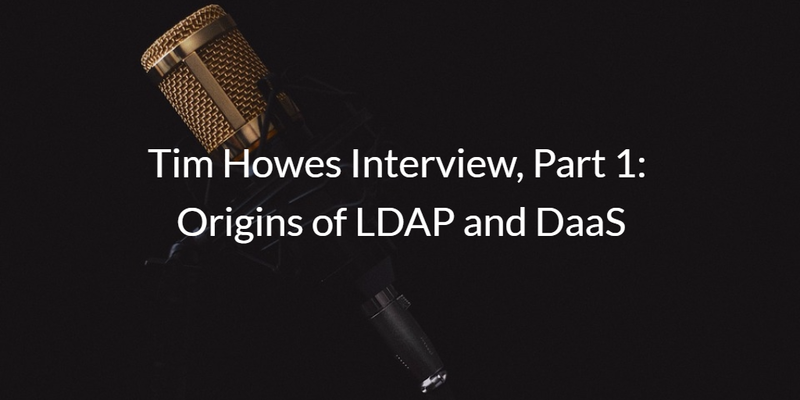 Q: What Are the Parallels Between the Creation of LDAP and Directory-as-a-Service? Tim Howes: They both stem from decentralization. At the time that LDAP was created, there were many different services. There was email and then along came the web, catalog services, commerce services, and more. So you would have to create users in multiple places. The idea behind a standardized directory service was, “Let’s abstract out the place where users go, where authentication occurs, and where user profile information is stored.” And that became the directory service. If you look at what’s happening now. We’ve got that same problem, only it’s much bigger. Back then, it was within an enterprise and all under one administrative control. These days, it’s happening on an Internet scale and the administrative authority is completely decentralized. Every user has probably two dozen different services across the Internet that they’re using and very few of them are managed by the same authority. You have very little administrative control over all these different directories. So the scope of the problem is much greater today – and with that comes greater challenges. Modern LDAP can help IT/ops teams to minimize LDAP hassle. Read more about the benefits of SaaS-based LDAP in our free ebook. We also encourage you to read up on JumpCloud’s LDAP-as-a-Service offering, which dramatically simplifies LDAP management and configuration. Stop taking valuable time to install and setup the networking pieces for OpenLDAP. The entire overhead of managing and ensuring the availability of an LDAP instance is taken care of for you. If you want to see what this looks like for yourself, then sign up for JumpCloud and get started with 10 free systems. Tim has contributed to this blog in the past with his post on his vision for the future of directory services. You can follow Tim Howes on Twitter here, or check out the official pages for ClearStory Data and Know Yourself.